Hi there! Here are my thoughts on recent films that I streamed on Kanopy. Both films offer different perspectives on France. 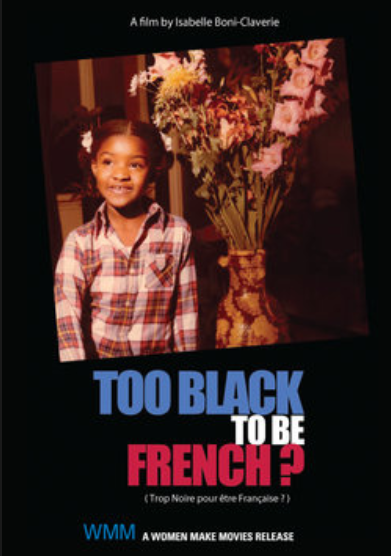 This documentary takes us through the manifestations of racism in French society, historically and today, zeroing in on how successful and rich black people experience racial discrimination and how French society tries to cover up their colonial history by claiming to be colorblind. For instance, in France statistics on race are not collected or tracked, which may appear to signal a society without racism, however it only works to make the racism invisible and more difficult to combat. This film is not rated and is in French with English subtitles. Stream Too Black to Be French? on Kanopy here. 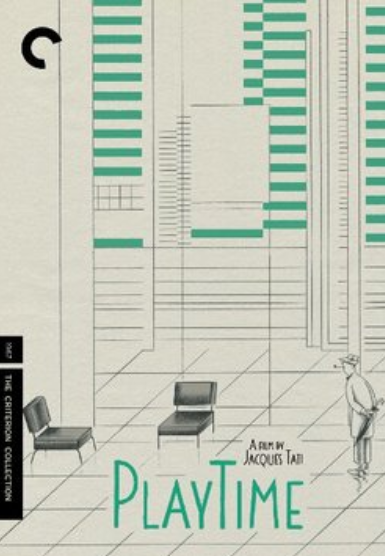 This film is a lush and humorous depiction of modernity and industrialization. Machines, objects, and functional spaces are characters, too, making sounds, shining lights, and interacting with the protagonist and other human characters throughout the film. The film brings you into this world with sort of a fly on the wall perspective, letting you observe, from a distance, the protagonist and the rest of the world interact in this metallic, manufactured, slippery, and loud landscape. Favorite scene: So many! But one that stands out is when a tourist asks a vendor for a photo but takes too long to set it up perfectly without any photo-bombers in view and gets asked by a new tourist on site to stand next to the vendor to be in their photo of “the real Paris.” This film is not rated and is in French with English subtitles. Stream Playtime on Kanopy here. How to find films on Kanopy: It’s quite easy to use. Go ahead and log into your Kanopy Account. Click and hover over browse to select a film that interests you.